Adolf Hitler, 1889-1945. Führer and Reich Chancellor of Nazi Germany, 1933-1945. Superb, very early 7" x 9½" formal portrait photograph signed Adolf Hitler. 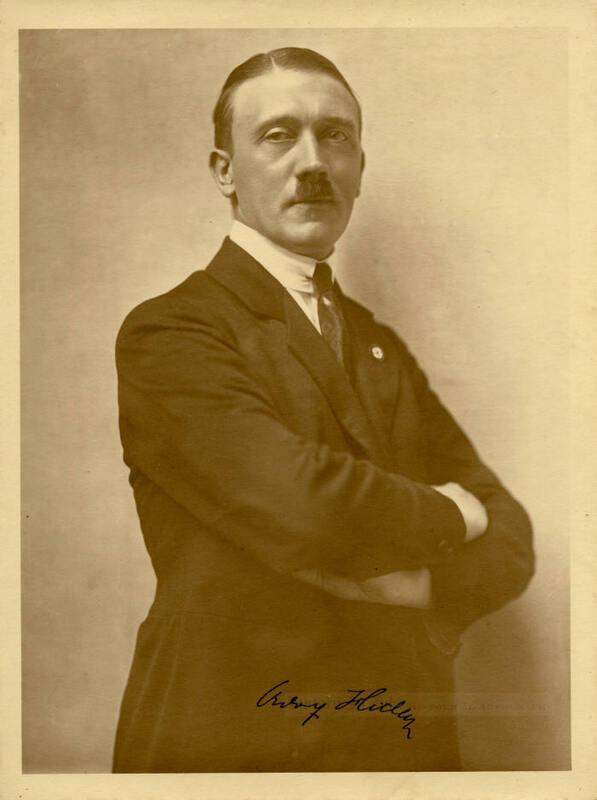 This very scarce, very early signed portrait by Heinrich Hoffmann shows a defiant Hitler, his arms crossed and his Nazi party pin prominent on his lapel, staring coldly at the camera in a half-length pose. The sepia tone photo has an excellent association. The reverse bears the circular stamp of the 1st Battalion of S.A. Regiment München, the most valued regiment of the Sturmabteilung, the brown-shirted Nazi storm troopers who by 1921 formally became the party's paramilitary arm. The S.A. protected the Nazi leadership and attacked and terrorized the partyʼs political opponents. This Munich regiment, led by Wilhelm Brückner, who later became Hitlerʼs chief adjutant, was Hitlerʼs principal force in support of his failed attempt to overthrow the Bavarian government at the Bürgerbr�ukeller, a Munich beer hall, on November 8-9, 1923—the Beer Hall Putsch. Hitler chose the beer hall because Bavarian officials whom he intended to kidnap, including the dictatorial state commissioner Gustav von Kahr, were scheduled to address a meeting there. Some 600 S.A. soldiers surrounded the crowded hall. The 1st Battalion of Munich S.A. regiment assembled at the Arzbergerkeller and marched to the Bürgerbr�ukeller, where Brückner joined Hitler about 11:30 p.m. The Nazis captured the officials, but ultimately the revolt did not succeed. When it began to unravel, Hitler, at the suggestion of General Erich Ludendorff, decided that the Nazis would march into the Munich city center and take it over. Late the next morning some 3,000 Nazis marched with Hitler, Ludendorff, and Hermann Göring toward the center of Munich. They headed toward the War Ministry building but were blocked by about 100 armed police and soldiers who ignored Hitler's demand to surrender. In the ensuing gun battle, which lasted about a minute, 16 Nazis and three police were killed. Hitler dislocated his shoulder when he fell under Max Erwin von Scheubner-Richter, who was locked with him arm-in-arm but died instantly when he was shot through the lung. Hitler crawled along the sidewalk to a waiting car, leaving his associates behind. The rest of the Nazis scattered or were arrested and jailed, and the S.A. was temporarily outlawed. Hitler was later arrested, tried for treason, and sentenced to five years at Landsberg Prison. He served only a few months, however, and during that time dictated to Rudolf Hess the book that became Mein Kampf. This photograph has excellent provenance. It emanates from a large archive of material from the 1st Battalion from the period around 1923 that included a draft of the orders for the "upcoming mobilization"—almost certainly the putsch—with instructions to meet at the Arzbergerkeller, which would be "the command post of the battalion." The photograph bears the name "Meyer" written in pencil in another hand at the top edge of the back, suggesting that the photograph belonged to Battalion Adjutant Willy Meyer, who signed several of the documents in the archive. In all likelihood, this photograph was taken in Munich in early September 1923. Heinrich Hoffmann, who took it, was Hitlerʼs favorite photographer. In his memoirs, Hoffmann recounted that Hitler had dreamed of receiving $30,000 for his first photographic sitting. But at the "Deutscher Tag" in Nuremburg, on September 1-2, 1923, Hoffman was "scooped" by an Associated Press photographer who photographed Hitler standing among the officers of parading units and disappeared into the crowd before Hitlerʼs bodyguards could intervene. Hitler thus had to abandon his dream. "Immediately after the success of [that] ʻphoto by assault,'" Hoffmann wrote, "Hitler beckoned me to come over to him. ʻHoffmann,' he said, ʻtomorrow I'll come to your studio in Munich. The time has now come, and at last you shall take your photograph.ʼ" Heinrich Hoffmann, Hitler Was My Friend: The Memoirs of Hitlerʼs Photographer 53-54 (Roger Moorhouse intro. 2011). Hoffmann's Munich studio stamp is in the lower right corner on the back of the photograph. His address, Schellingstra�e 50, is where Hitler first met his mistress Eva Braun, who worked in Hoffmann's shop. After Hitler was released from Landsberg Prison on December 20, 1924, Schellingstra�e 50 housed the Nazi party headquarters from 1925 until 1931. Hitler has signed this photograph with the form of his signature that dates from the early 1920s. By the time he became Chancellor in 1933, and even more so by the time World War II began in 1939, Hitlerʼs signature was less detailed, and "Adolf" became "Af." A signed bust photograph of Hitler from this same sitting—with Hitler wearing the same clothing—dated and signed three days before Hitler was convicted of his role in the putsch and sent to prison, brought a $16,000 hammer price ($19,120 with the buyerʼs premium) at Alexander Historical Auctions, Lot 1, on July 21, 2011.  This photograph is in very fine condition. Hitlerʼs black fountain pen signature is nearly 2" long. We reject Nazism and all that it represented. We nevertheless offer this photograph because of its rarity and historical significance and because Nazism, although despised, played a large role in the history of the 20th Century. This piece belongs in any fine German or World War II collection.